Cricket Wireless today kicked off sales of the Moto E5 Cruise, a rebadged version of the Moto E5 Play. The Moto E5 Cruise has a 5.2-inch display with 720p HD resolution and a 16:9 aspect ratio shape. The Snapdragon 427 processor is accompanied by 2 of RAM and 16 GB of storage. The cameras are 8 megapixel on back with full HD video capture and 5 megapixel up front. The E5 Cruise has dual-band Wi-Fi, a fingerprint reader, and gesture shortcuts. It packs a 2,800mAh battery and is resistant to splashes. Cricket is selling the Moto E5 Cruise for $99.99. 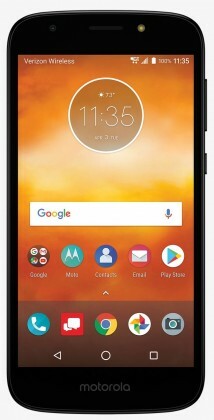 Verizon Wireless today said it will sell the Moto G6 Play, Moto E5 Play (pictured), and Moto G6 phones from Motorola. The G6 Play and E5 Play will be offered by Verizon Prepaid. The E5 Play is available starting today for $95, and the G6 Play will follow soon. The Moto G6 will be sold by Verizon’s standard postpaid service beginning May 24. Pricing for the G6 Play and G6 were not announced. Motorola revealed all three phones last month. The E5 Play is an entry level phone, while the G6 Play and G6 are mid-range devices. All three run Android 8 Oreo. The Moto e5 Play is the latest truly entry-level phone from Motorola / Lenovo. There's nothing fancy about it, but it does manage to fit in a fingerprint reader and an HD display. We checked it out in person. Here are our first impressions. 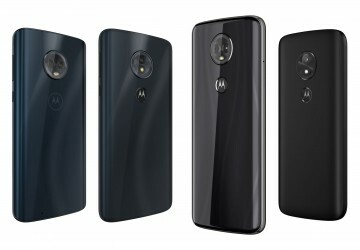 Motorola today announced four new affordable Android phones coming to the U.S. market before mid-year. 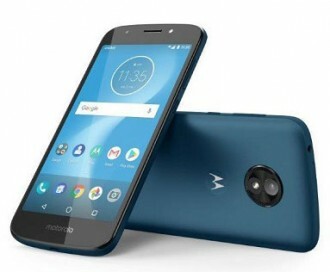 Spread across the Moto e5 and Moto g6 series, all four new phones share the company's evolved design language that debuted with the Moto X4 last year. They also all sport a fingerprint reader, a clean version of Android 8 Oreo, Moto Actions gesture shortcuts, a water-repellent coating, front cameras with an LED flash, 3.5mm audio jacks, and memory card slots. They have Qualcomm Snapdragon 400-series processors supporting Cat. 6 LTE, and excellent support for all major US networks, including Sprint, Verizon, and band 66. Moto g6: The highest-end model of the group, it has a curved glass back, metal frame, and a 5.7-inch full-HD display with 2:1 ratio. It's powered by a Snapdragon 450 processor with either 3 or 4 GB of RAM, and 32 or 64 GB of storage. The 3,000 mAh battery supports fast charging via the USB-C port. The 12-megapixel camera (f/1.8) is aided by a 5-megapixel camera for depth sensing, to create portrait effects. The camera app includes object, landmark, and text recognition, as well as slow-motion and time-lapse modes. An ultrasonic system detects when you approach the phone and lights up the display to show the time and notifications. It will be sold unlocked for $249, and via carriers. Moto g6 Play: This more affordable model (at $199) has a rounded polycarbonate back and metal frame. The 5.7-inch display with 2:1 ratio is 720p HD resolution. It's powered by a Snapdragon 427 processor with either 2 or 3 GB of RAM and 16 or 32 GB of storage. The 4,000 mAh battery supports fast charging via micro-USB. The main camera is 13-megapixel camera with PDAF, while the front camera is 8-megapixel. Like the g6, it will be sold unlocked and via carriers. It supports all AT&T bands, include LTE 14, 29, and 30. Moto e5 Plus: A larger version of the Moto g6 Play. It has the same design and features, except the battery steps up to 5,000 mAh, the display size is bumped to 6 inches, and it adds laser focusing to the camera. The processor is a Snapdragon 435 and there is just one configuration with 3 GB of RAM and 32 GB of storage. It will be available in the U.S. exclusively from carriers. Moto e5 Play: A lower-end model, similar to e-series models of years past. Its plastic shells pops off to reveal a removable (2,800 mAh) battery. Its 5.2-inch display has HD resolution and a 16:9 aspect ratio. The Snapdragon 427 processor is accompanied by 2 of RAM and 16 GB of storage. 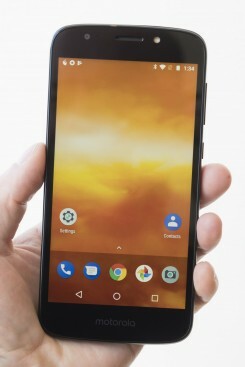 (However at least one variant will have a Snapdragon 425 processor that only supports Cat. 4 LTE.) The cameras are 8 megapixel (rear) and 5 megapixel (front), and it can record 1080p video. Like the other models, it has dual-band Wi-Fi, a fingerprint reader, and gesture shortcuts. It will also be available exclusively from carriers.